Johnston serves as Vice President, Corporate Business Development at Eli Lilly and Company. As a member of the Company’s Corporate Business Development operation, he works with the Lilly team and external partners to advance innovation by driving scientific breakthroughs through collaboration. He works closely with regional investment funds and provides oversight and strategic guidance to these efforts. Bone, Muscle and Joint Molecule Clinical Development. He was named Global Brand Development Leader, Osteoporosis Products in 2003. This was an expansion of the role he held since 2002 as Product Team Leader, Arzoxifene. Johnston led the clinical team responsible for the global regulatory submissions of EVISTA and FORTEO. Under his leadership, both brands were approved in more than 80 countries and reached blockbuster status with >$1 Billion in worldwide sales each. Prior to 2002, he served as Director, Strategy and Business Development, Primary Care Product Group, for Lilly where he was responsible for Cardiovascular Disease, Women’s Health, and Infectious Disease therapeutic areas. He also oversaw the product-CIALIS, another blockbuster. 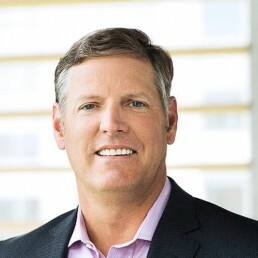 Prior to joining Lilly in 1985, Johnston spent three years as a sales representative in Idaho and held leadership roles in Corporate Strategic Planning, Human Resources, Sales, Strategic Asset Management, and Corporate Business Development. Johnston previously served on the boards of the Depressive and Manic-Depressive Association of Texas, the Young Philanthropists for Vision in Indiana, and the Cornea Research Foundation. He currently serves on the executive boards of the Western Golf Association / Evans Scholars Foundation, Indiana State University (Board of Governors), Purdue University, and the Crooked Stick Golf Club in Carmel, Indiana.